Enjoy your trip to Miami and ride with SuperShuttle! Instead of worrying about your ride after you’ve landed at MIA, book in advance and be sure that you have a guaranteed ride! Whether alone or in a group, SuperShuttle can fit the needs of any traveler with our shared-ride, non-stop, black car, or SUV service. Why wait until the last minute to get a ride to and from MIA? Book now online or on our app! Our most popular service! Perfect for the budget-conscious, large groups, or single travelers, our shared-ride service is cost effective and eco-friendly. Great for groups big or small, our non-stop service is a direct ride to your destination with no additional stops for other passengers. 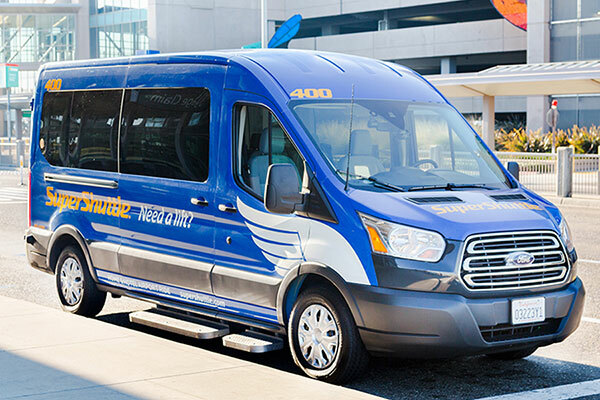 Enjoy traveling in a group up to 20 in one of our SuperShuttle buses.